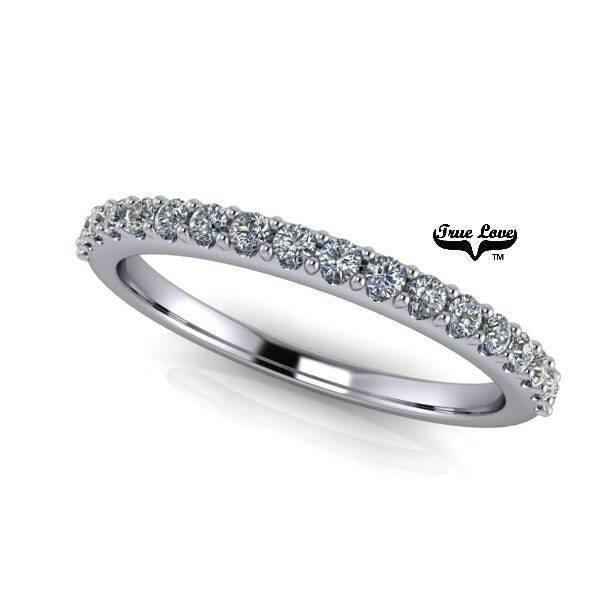 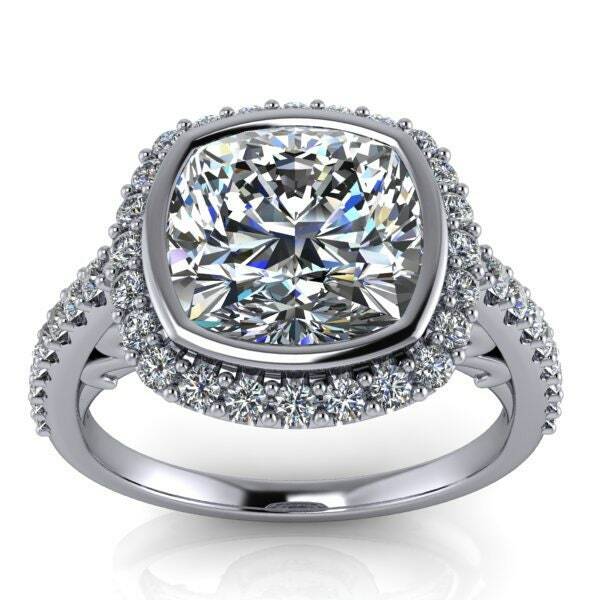 A stunning creation combining One Cushion Cut Center Stone 1.7,2.4,3.3 or 5 Carat Trek Quality #1 Moissanite D-E F Colorless or G-H near colorless . 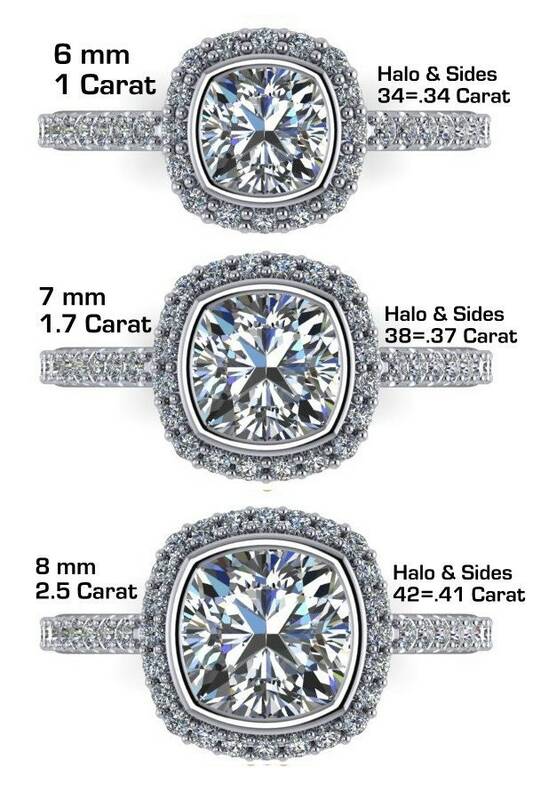 1 Carat 6mm Center stone has 34 Side and Halo Moissanites E-F Colorless VVS Clarity .34 Carat Total weight. 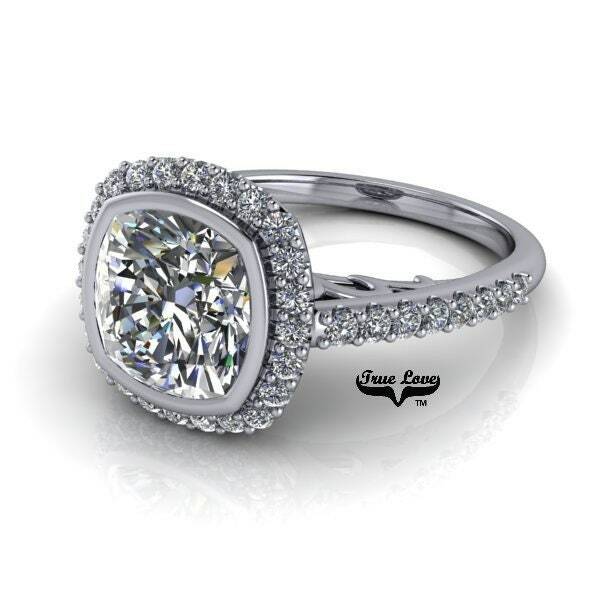 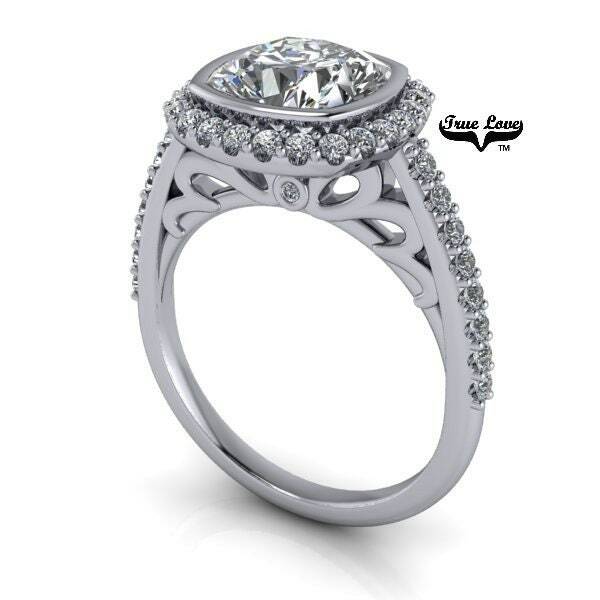 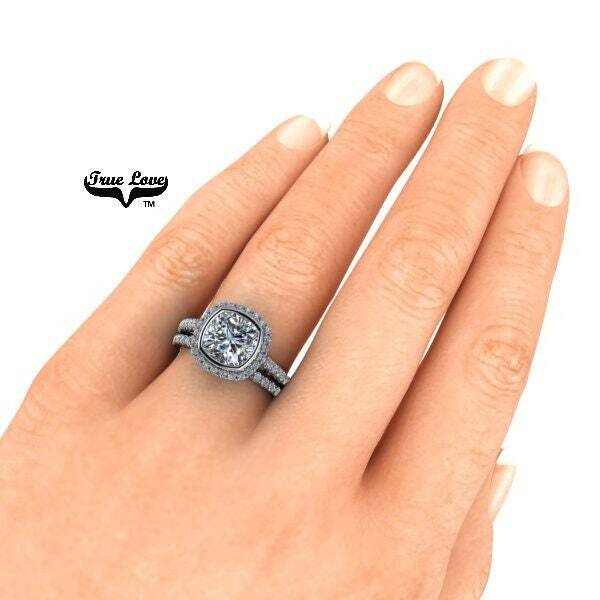 1.70 Carat 7mm Center stone has 38 Side and Halo Moissanites E-F Colorless VVS Clarity .37 Carat Total weight. 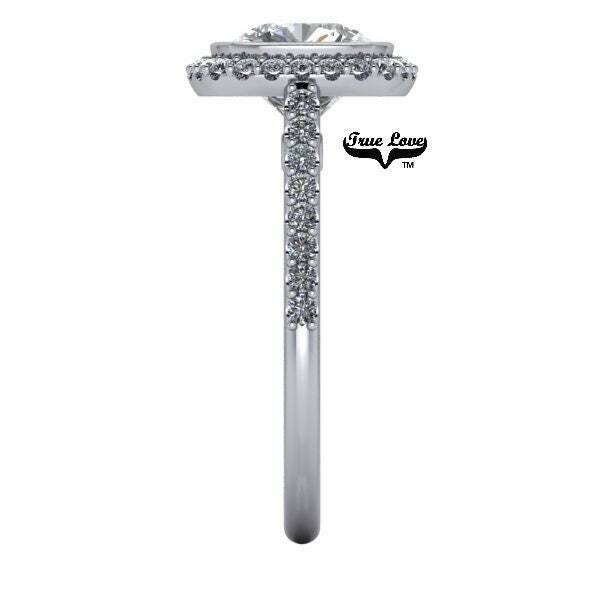 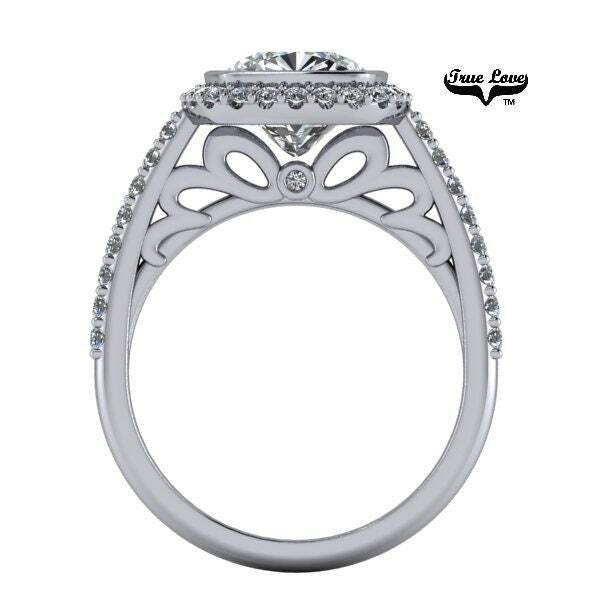 2.50 Carat 8 mm Center stone has 42 Side and Halo Moissanites E-F Colorless VVS Clarity .41 Carat Total weight.